What is special on today ? Toda is Maundy Thursday celebrated in wordwide as beginning of good Friday and Easter in many countires. Its is religious holy day in Christian countries. To know more about the Maundy Thursday , keep on reading. 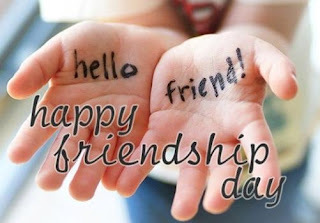 It is a special day and celebrated on 2nd April 2015 on this year. Every year it falls on the Thursday before the Good Friday. What is Maundy Thursday and why we are celebrating the Maundy Thursday? , Here it is. Maundy Thursday also know as Holy Thursday, Convenant Thursdy, Great Thursday, Holy Thursday , Sheer Thursday and Thurday of Maysteries , is the Christian Holy celebrating day, Falling on the Thursday before Holy Easter. The main reason for this Maundy Thursday is commemorates the Maundy and Last Supper of Jesus Christ with the Apostles as noted in the Canonical gospels. It is the 5th day of Holy week. In this week all days are noted as Holy, because it was the last week of Jesus in the world. This day preceded by Holy Wednesday and followed by Holy Good Friday. 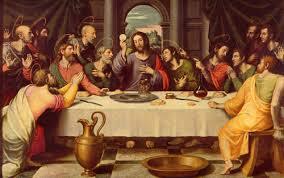 Lets Celebrate the Maundy Thursday which falls on 2nd April 2015. Pray for all. 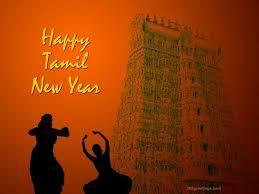 Want tamil new year wishes and Greetings? Maundy is from Latin Mandatum or mendicare which means Feet washing. On this day Jesus Washed the feet of the Apostles by Meister des Hausbuches. It is a religious rite observed as an ordinance by several Christian denominations. Always this date falls in between 19 March and 22 April but these dates fall on different days depending on whether the Gregorian calendar is used liturgically. Easter Churches use the Julian calendar, So celebrate this feast throughout the 21st century between 1 April and 5 May in the more commonly used Gregorian calendar. Many churches will arrange for a feast on this Maundy Thursday. Because Jesus gave a feast on this day with his Apostles , he knows all. Holy Maundy Thursday. 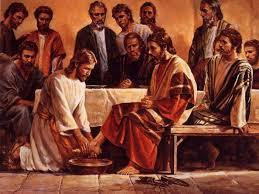 Maundy Thursday is a Holy day celebrated before the Good Friday, Start your prayer on this Holy day. Succeeding days will celebrated as Great Holy days as we Know. So arrange any special prayers on this Maundy Thursday. Before that know that what is Maundy Thursday.Holy It is mainly a Feast giving one. So arrange a Feast to poor and needy at your home. Lets pray and feast for others.